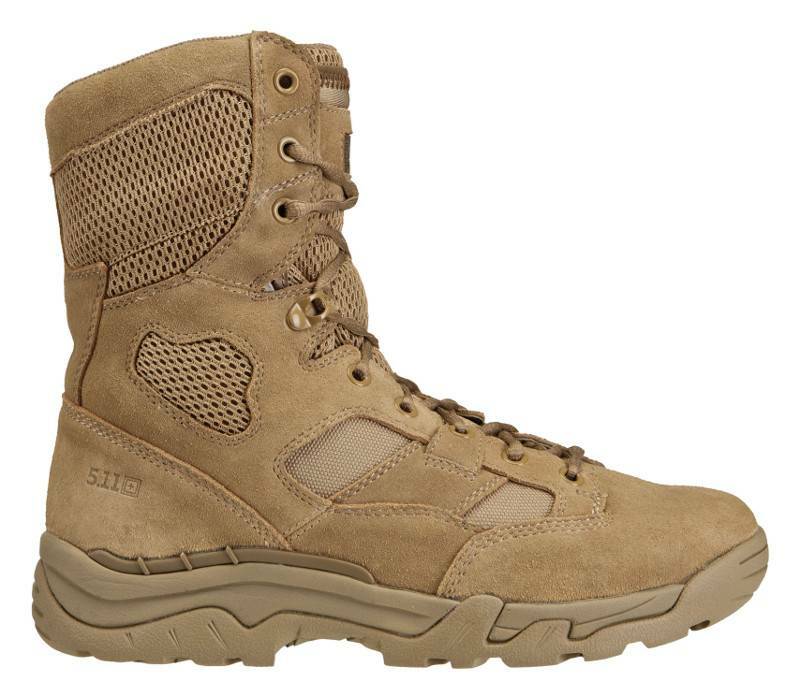 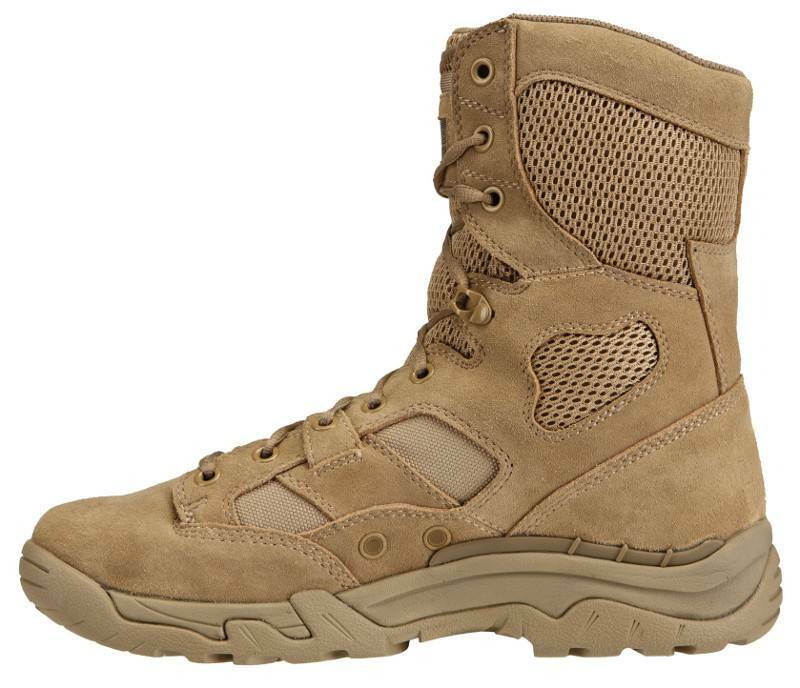 5.11 Tactical Taclite 8" Boot (Coyote). 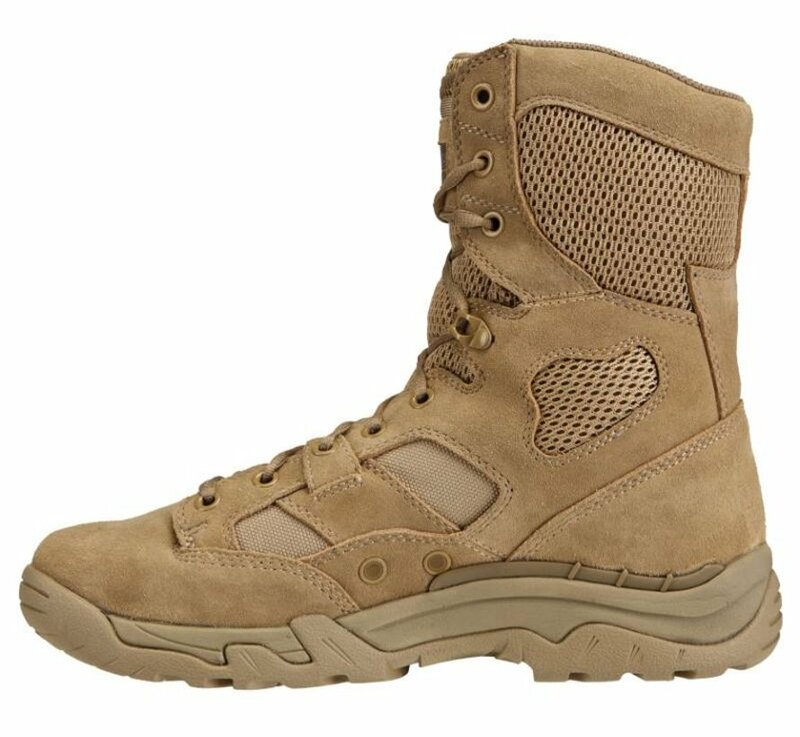 The full sized 8” Taclite™ Coyote Boot combines a rugged and dependable 1200D Cordura® nylon body with tan suede uppers and breathable air mesh panels for superior breathability and lightweight performance in arid or tropical climates. 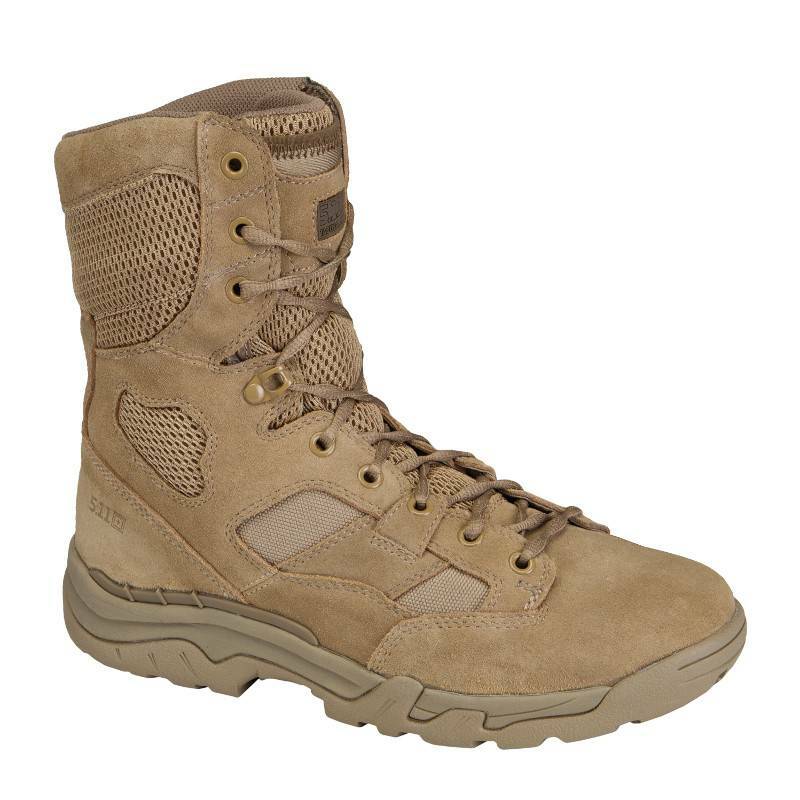 Integrated side vents and a moisture wicking, anti-bacterial lining promote air flow and manage heat, keeping your feet cool and dry in any environment. 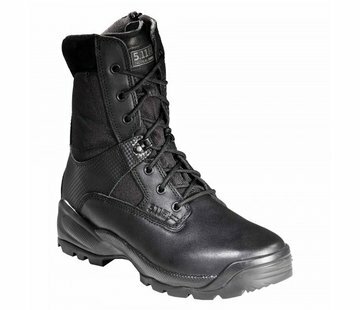 Perforated EVA foam padding at the ankle collar and tongue provide support and comfort without adding bulk, and an OrthoLite sockliner provides an additional layer of cushioning to mitigate shock over rough terrain. An oil and slip resistant, no-squeak outsole ensures traction and stealth, while a fast rope tread gives you an edge during fast roping maneuvers. With our 5.11 Zonal Lacing System supported by our Lace Station and stay-tied sausage laces, the Taclite Coyote Boot offers a customized and stable fit that stays secure all day long.